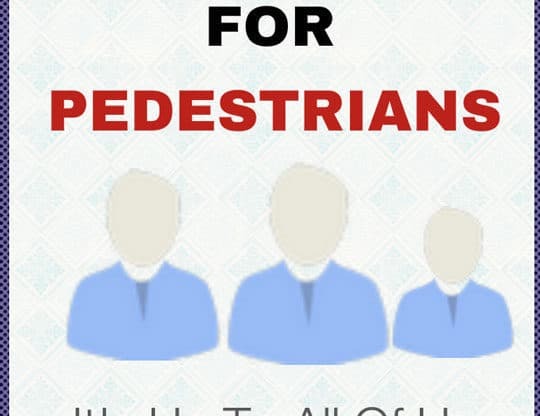 Police are warning pedestrians of upcoming decoy operations targeting drivers who disobey pedestrian safety laws. During the months of August and September, the Folsom Police Department will send out teams on two separate dates looking for violations. The teams will use a police officer in plain clothes to lawfully cross the street, while uniformed officers in marked patrol vehicles will be nearby to stop any driver who does not yield for the pedestrian. “We hope to not write any citations during this operation “ said Officer Andrew Bates. 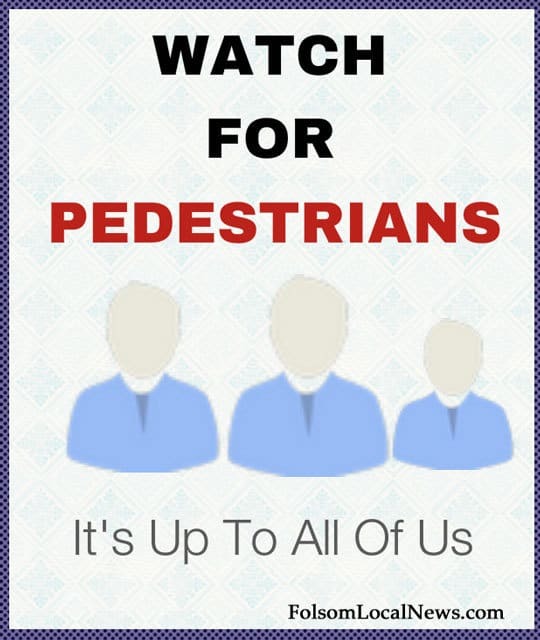 “We want all drivers will hear about this operation, drive safely and stay alert for pedestrians.” Drivers are reminded that with many schools returning from summer break today, there will be many more pedestrians, particularly in the morning and afternoon. – Drivers turning right on a red light without yielding to a pedestrian crossing in the crosswalk. – Drivers failing to stop for pedestrians crossing in crosswalks with flashing warning lights. – Drivers who do not yield to pedestrians at intersections near schools. – Excessive speed in areas of heavy pedestrian activity. These operations are part of the “It’s Up to All of Us” Campaign, which is made possible by the California Department of Public Health, through a grant from the California Office of Traffic Safety and the National Highway Transportation Safety Administration. Organization officials note that one of the campaign’s goals is to motivate people to walk more often and feel safe doing so, citing that many people don’t walk as much as they would like because of safety concerns. “It’s Up to All of Us” is designed to increase awareness of pedestrian safety by providing concrete reminders about actions that promote a safer environment. One of the most critical changes urged by the campaign is for drivers to slow down. There is a documented relationship between vehicle speeds and pedestrian crash severity. As speeds increase, so does the percent of fatalities. Only about five percent of pedestrians are likely to be killed when struck at 20 mph, whereas nearly 80 percent of pedestrians are likely to be killed when struck at 40 mph.